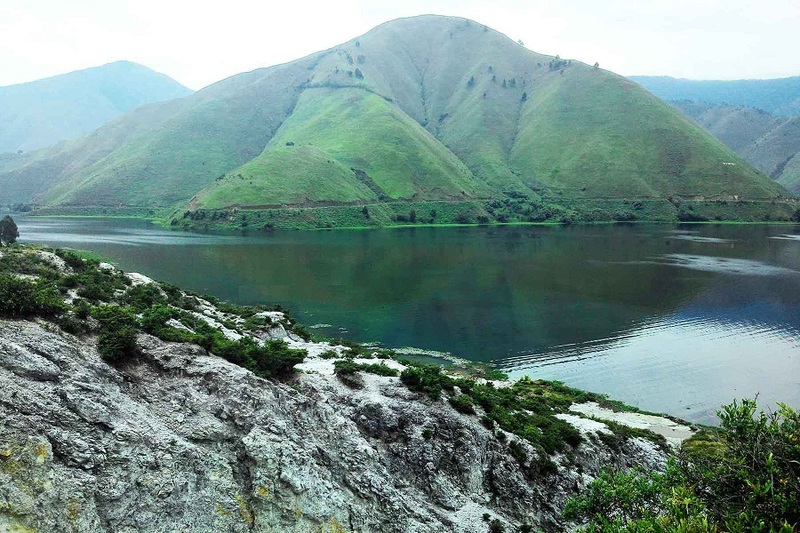 Lake Toba is famous for attractions born by nature. Hot springs are no exceptions. The lake is also known for soda springs. 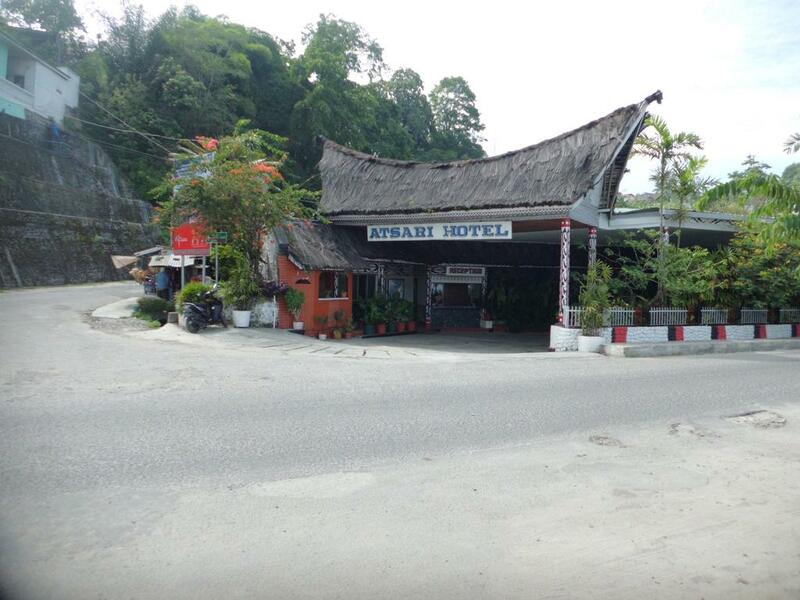 Below are our five most recommended hot springs on Lake Toba. Pangururan Thermal Bath (Aek Rangat Pangururan) is one of the hot springs in Samosir. Located at the foot of sacred Mount Pusuk Buhit, it offers clear water that flows directly out of the mountain. There are a few nice hotels in the area that have swimming pools by the lake and linked to the spring. Residents consider it sacred as it flows from the holy mountain. See more. Sipoholon Hot Spring Bath is an exciting, fun, yet safe bath resort destination. Located in North Tapanuli Regency, the spring is always crowded by tourists, both local and foreign. The hot water comes from the center of the earth’s bowels, which flows all the time. The water is green and steamy due to the volcanic activity beneath. See more. Parbubu Soda Water is at Parbubu Village, Tarutung, North Tapanuli. 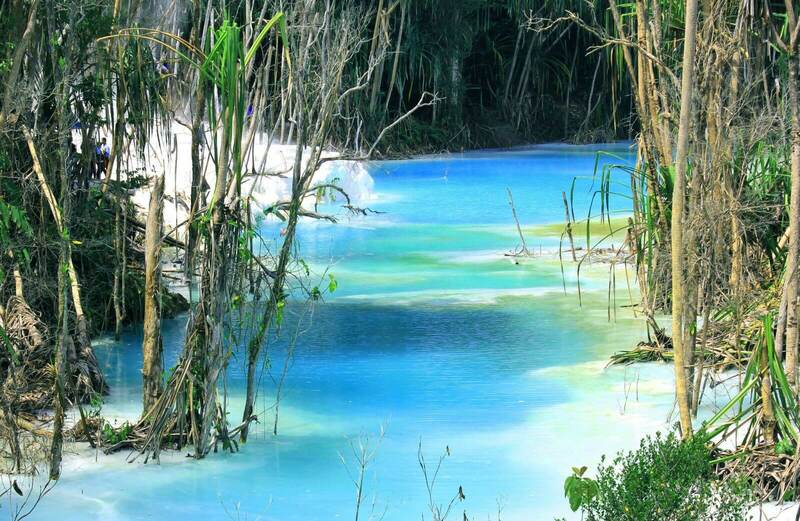 It is the only soda spring in Indonesia. 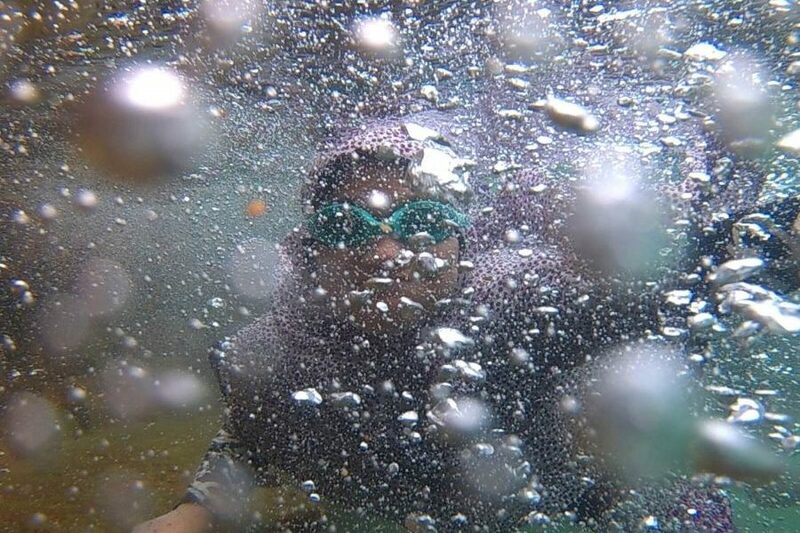 There are not many of such springs in the world, so it is worth coming here for a new experience. The water is warm, has bubble texture, tastes and smells similar to soda drinks. It is not sweet, just in case you are curious. See more. Tinggi Raja White Crater is a warm water crater surrounded by white limestone hills located within the Dolok Tinggi Raja Nature Reserve area at Silau Kahean Subdistrict, Simalungun. It boasts white “snow” in a steamy environment and hot bath in the cool weather. See more. 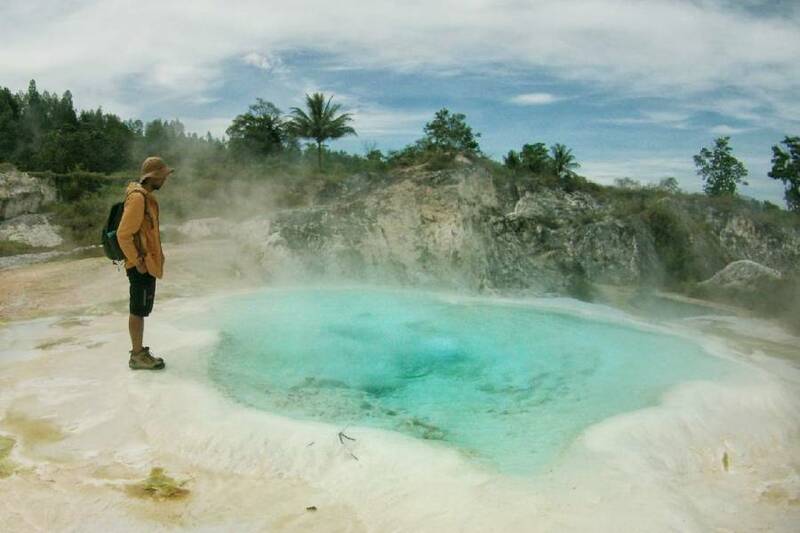 Sampean Hot Spring is a sulfur-rich spring flowing into Lake Toba at Sampean village, Samosir. There, nourish your body while enjoying the natural scenery of the lake surrounded by sturdy cliffs and pine trees. You can bathe in hot water or swim in the cold fresh lake. See more. 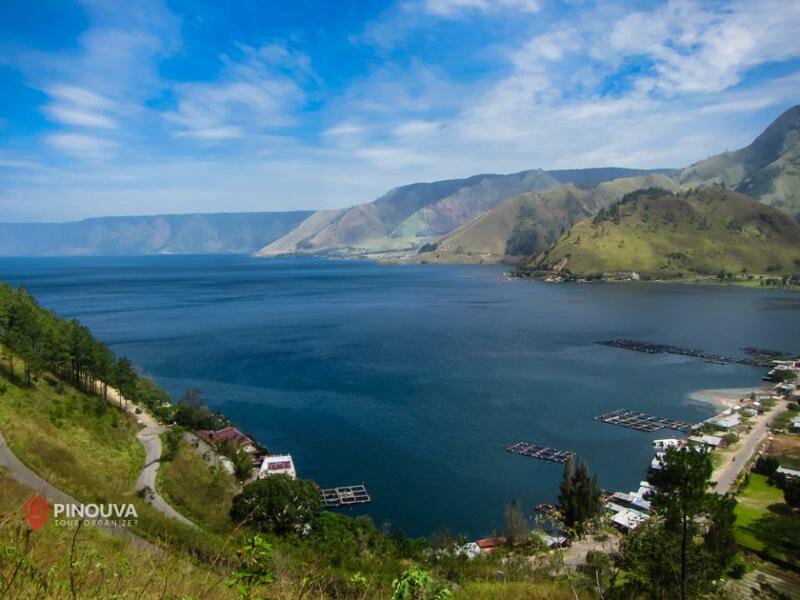 See also 5 Most Attractive Cultural Sites on Lake Toba.